At World Moms Blog we’ve been so “Go! Go! Go!” that I haven’t had time to reflect on our year, and now that I have, it was really “WOW! !” Here are some amazing and memorable highlights! World Moms Blog contributors and editors met up for the first time in Washington, DC in January, around the UN Foundation’s Volunteer Summit for Shot@Life. I was also invited to speak at the event on grass-roots fundraising and party planning for social good during the summit. In March, our Indonesian contributors, Maureen and Shaula Bellour, also met for the first time ever in Jakarta for coffee. 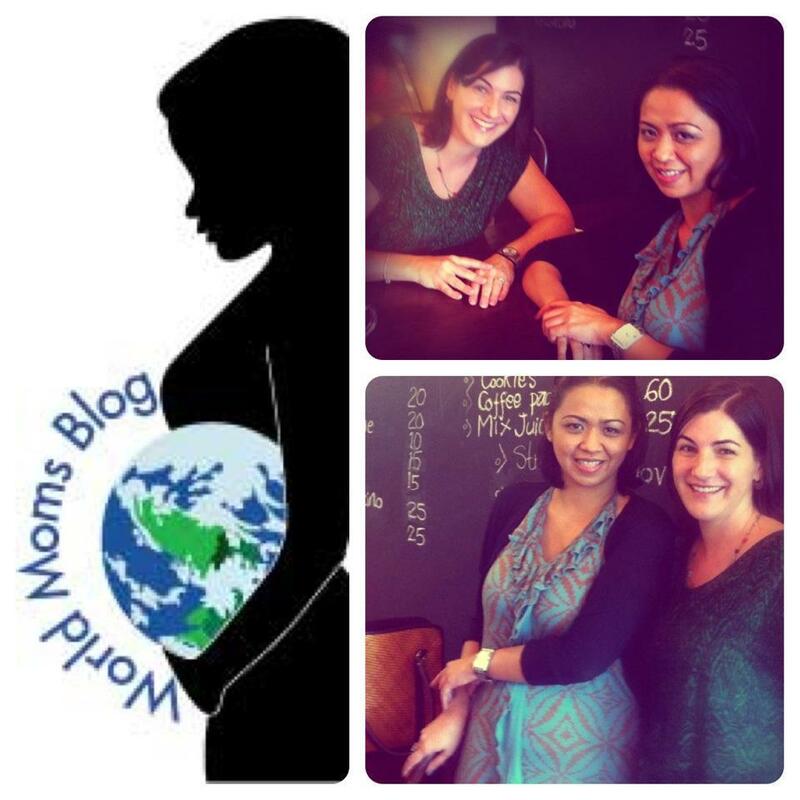 World Moms Blog contributors Maureen from @ScoopsofJoy and Shaula Bellour meet for the first time in Jakarta in March 2012! In April, I was invited back by the UN Foundation to speak, this time at a press conference in Times Square with actress Amanda Peet! Footage from the launch of the Shot@Life public service announcement (PSA) was featured on television stations in the US, including CNN and Fox News. World Moms Blog was also quoted in an article regarding life-saving vaccines for children at Scientific American. In May World Moms Blog was listed by Forbes Woman in their “Top 100 Websites for Women 2012“. And we were screaming our heads off in excitement all around the globe when we heard the news! Out of over 1100 websites we were officially listed by Forbes!! Our contributors have never been more proud of our work in providing voices to women around the world as we unify in motherhood. We are breaking cultural and religious boundaries and talking about what matters most, raising the world’s future, our children, as well as, advocating for global health issues for women and children. To top off the honor, we sneaked a picture with the publisher of Forbes Woman, Moira Forbes, in September at the Social Good Summit in NYC. Jennifer Burden of World Moms Blog with Moira Forbes, publisher of Forbes Woman, at the Social Good Summit, September 2012. Our editors worked hard this year to collect feedback from our contributors to unveil our new blog design, which launched at the beginning of August. Thank you to our blog designer, Kayleen from Booyah Creative! Also in August, 9 of our contributors headed to the BlogHer conference in New York City. 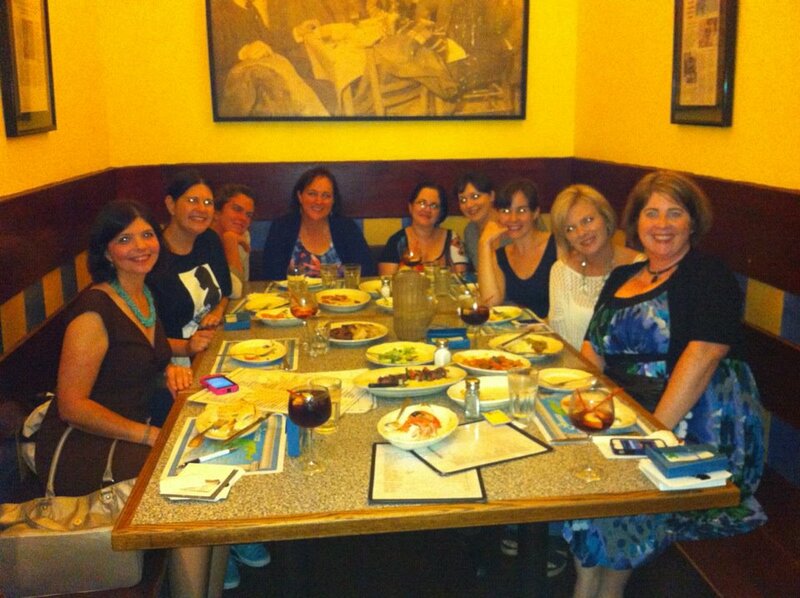 We had a special World Moms Blog meet up at Uncle Nick’s Greek restaurant to get to know one another better before the blogging festivities began! Before we left BlogHer, Nicole Morgan came up with a great idea to use our World Moms Blog Step & Repeat banner to ask women what their “one wish for world mothers” was. It was a lot of fun! Look out for further expansion of this idea into 2013. 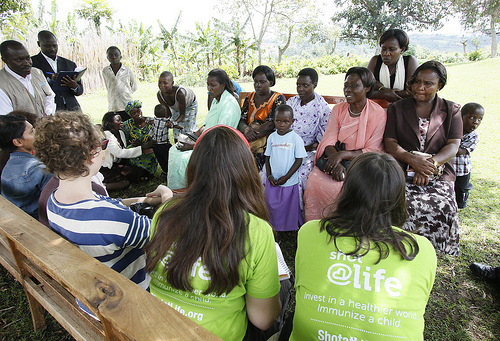 And, I wrote about World Moms Blog and the “one wish for world mothers” on the Huffington Post. Speaking of HuffPost, here, we captured Lisa Belkin of HuffPost Parents at BlogHer ’12 posing with the World Moms Blog banner. 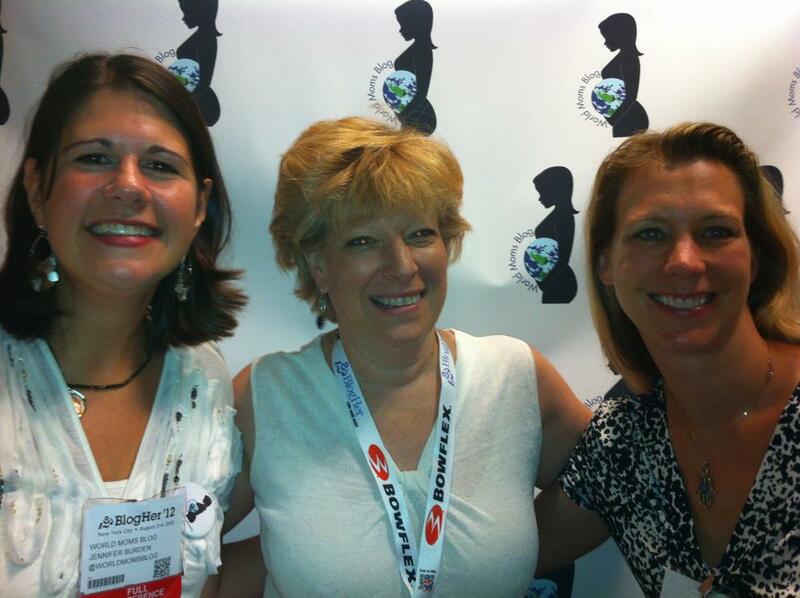 Jennifer Burden and Nicole Melancon of World Moms Blog pose with Lisa Belkin of HuffPost Parents at BlogHer ’12 in August 2012. In September, World Moms Blog was granted a press pass to the exclusive Clinton Global Initiative in New York City, where we got to witness some amazing speakers in action, including Queen Rania of Jordan, Ban-Ki Moon, Nicholas Kristtoff, Bill Clinton, Hillary Clinton, Mitt Romney, and US President Barack Obama. 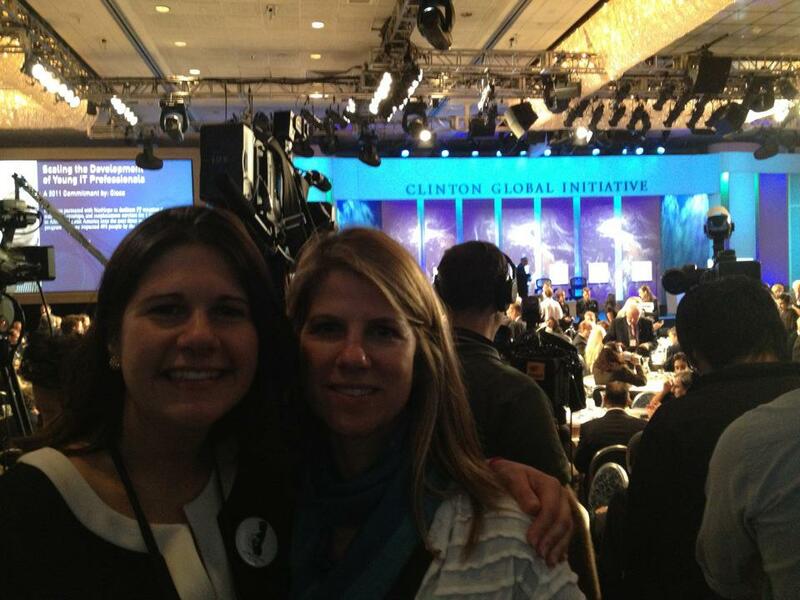 Jennifer Burden of World Moms Blog at the Clinton Global Initiative in New York City with Emily McKhann of The Motherhood in September 2012! We were also at the Social Good Summit in New York City, where we met up with our friends at ONE, the UN Foundation & the GAVI Alliance. 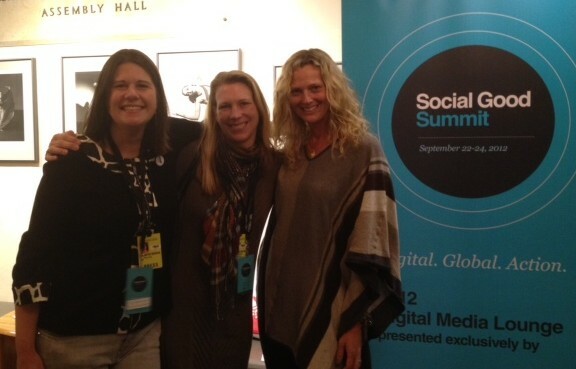 World Moms Blog editors, Jennifer Burden, Nicole Melancon and Elizabeth Atalay reunite at the Social Good Summit in NYC on September 23, 2012. 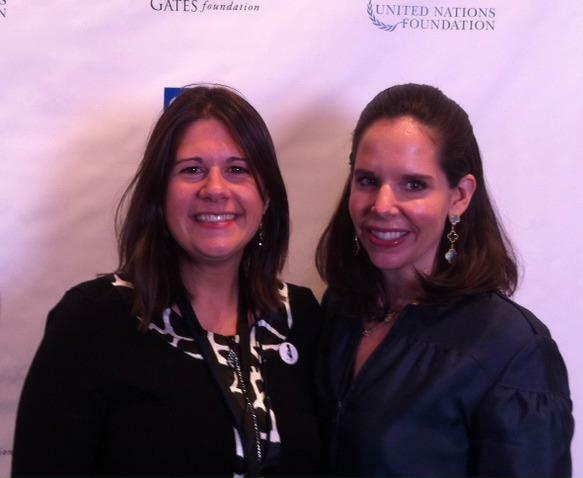 While at the Social Good Summit, we also met the amazing Andi Gitow, a senior television producer at the United Nations, who later provided this insightful interview on World Moms Blog to our senior editor, Kyla P’an. At the same time, contributing editor, Elizabeth Atalay, scheduled a meeting with the President of the Fistula Foundation while in NYC, which led to her post on our site to raise awareness for women suffering from fistula, a maternal health problem. 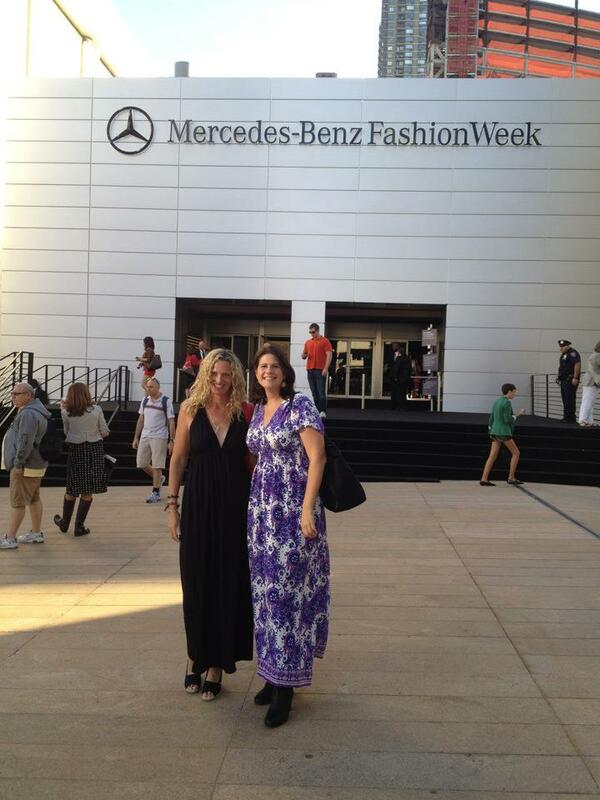 Also in New York City, we attended the Mercedes-Benz Fashion Week! We were there to support our Shot@Life friends who walked the catwalk for STRUT: The Fashionable Mom Show! Thank you to our friend, Holly Pavlika of Momentum, for the invitation. Next, our ongoing project with the GAVI Alliance to create a documentary around life-saving vaccinations, initiated World Moms Blog events in India (Purnima Ramakrishnan), Indonesia and two in the USA (Denise Paredes & Jennifer Burden) in 2012! Here is a photo montage from the party in Bali, Indonesia thrown by Lady E.
The Bali, Indonesia GAVI Global Tea Party for life-saving vaccines for children in the developing world hosted by World Moms Blog contributor, Lady E.
In October, we received this amazing picture tweeted from the #ONEMoms in Ethiopia! This year World Moms Blog is thrilled to be a community partner with the #ONEMoms. 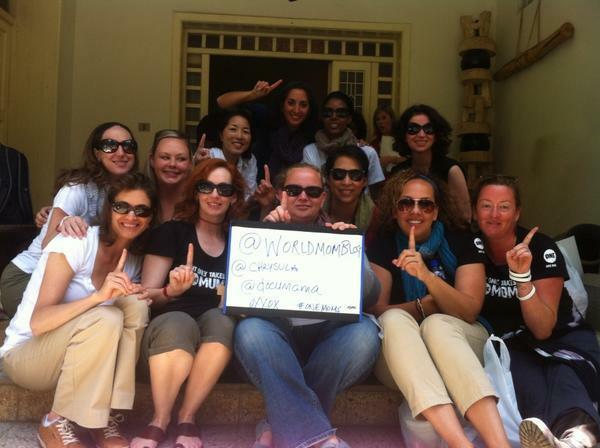 The #ONEMoms in Ethiopia in October 2012 gave a shout out to World Moms Blog! As if things couldn’t get any better, in October, the UN Foundation invited us to Uganda to observe UNICEF’s programs there! I am already learning so much from Shot@Life champion, Cindy Levin of RESULTS, a citizens’ lobby to end poverty, who was a part of the delegation. To top it off, champion LaShaun Martin of Shootie Girl and Mocha Moms, who was also on the trip, is joining World Moms Blog! We’ve only made a dent into writing about the adventure, so look out for more from the Shot@Life trip in 2013. We love to see our contributors continue to make friendships offline, too. In November, World Moms Blog contributor Maureen got the chance to meet another writer in Jakarta, this time Ana Gaby! 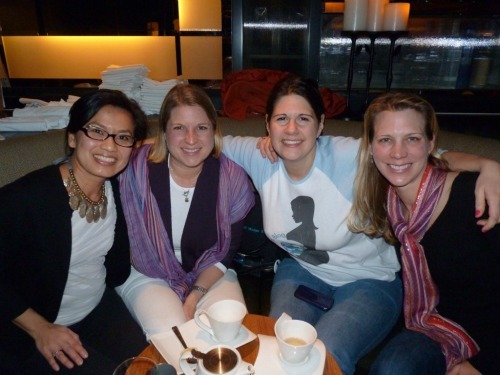 World Moms Blog contributors meet in Jakarta again in November! 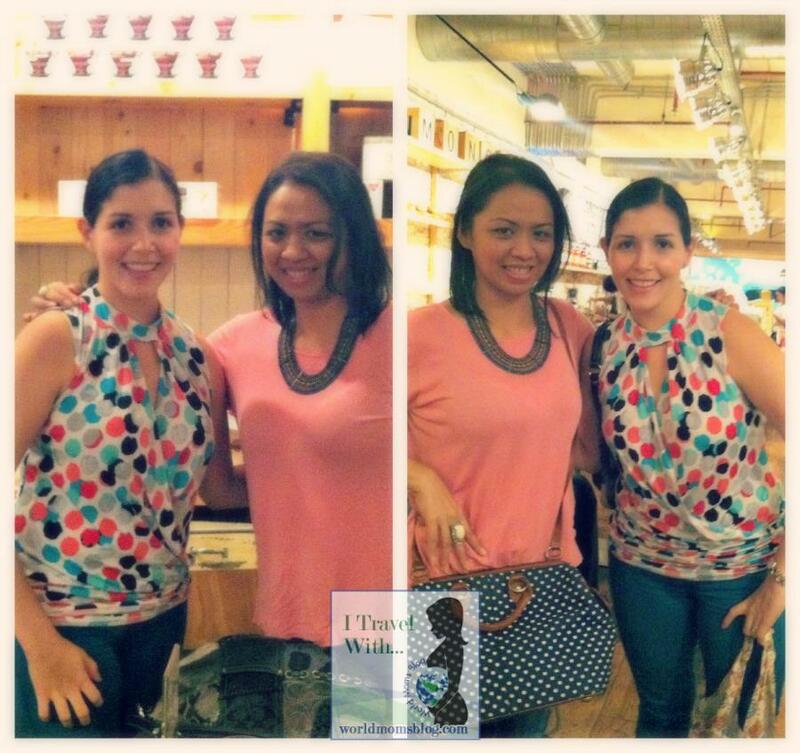 Pictured here, Ana Gaby from Stumble Abroad and Maureen from @ScoopsofJoy. In December, Ruth Wong of Singapore and Maureen from Indonesia initiated and carried out a surprise gift exchange program, called Fairy Moms, to unite our contributors around the world, and to help further bond our global mothers behind the website. It has been a great success! This year, we raised awareness on a number of important global topics such as maternal health, life-saving vaccinations for children in the developing world, fistula, the education of girls, mentoring special needs children and international orphanages. We also wrote about our own mothers’ experiences in mental health, friendship, religion, culture and women empowerment, to name a few. We added some really great new contributors, and new contributors to our World Voice column (Social Good & Human Rights). World Moms Blog increased our global editing power – we are pleased to welcome Nicole Melancon (USA), Elizabeth Atalay (USA), Kim Siegal (Kenya), Ruth Wong (Singapore), Maureen (Indonesia), Alison Lee (Malaysia), Margie Bryant (USA), Erin Threlfall (Indonesia), Polish Mom Photographer (USA) and Karyn Van Der Zwet (New Zealand) to our editing team. And thank you to Roxanne Piskell (USA) and Diana Stone (USA) for also previously helping out with our editing this year! We promoted five Contributing Editors to Senior Editors who have taken on managerial roles for World Moms Blog and have been outright superstars: Kirsten Doyle (Canada), Kyla P’an (USA), Eva Fannon (USA), Purnima Ramakrishnan (India) and Alison Lee (Malaysia). The website is no longer a solo effort (me!) — we are a global team now making this happen! All the editors and contributors are also volunteers, which makes this truly amazing. 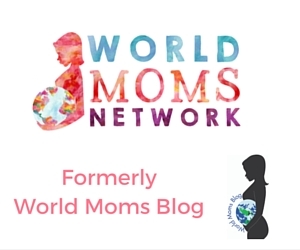 It blows my mind how a group of global mothers, all very busy in one way or another, have come together to make World Moms Blog so successful. We care about each other and this movement. 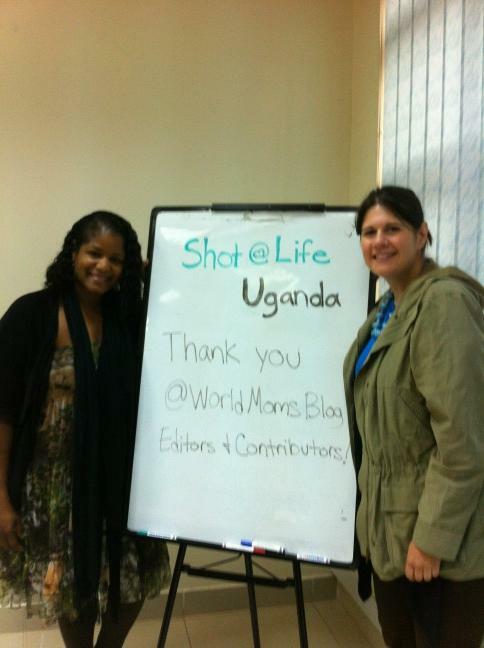 Lashaun Martin (USA) and Jennifer Burden (USA) thank the World Moms Blog editors and contributors from UNICEF offices in Kampala, Uganda, where they were on a delegation with the UN Foundation’s Shot@Life campaign in October 2012. From Monday December 23rd through January 6th, the editors and contributors at World Moms Blog are taking a hard-earned break, a blogcation for the holidays. We will resume our regular schedule on Monday, January 7th, 2013. We are extremely appreciative of our readers and hope to give you all more great stories to read about from around the globe in 2013. Thank you, dedicated readers!! Photo credits to World Moms Blog staff, unless otherwise stated in captions. It truly has been a big year for WMB and all our editors and contributors AND guest writers and readers. It’s been an honor and joy to work with you Jen, and everyone else. May 2013 be an even bigger year for all of us. Happy Holidays! Your support is so appreciated from Malaysia, Alison!! Thank you for being a friend, and for always being there. And, for bringing an enthusiasm and awesome social media strategy to the website. You are going places!! Go,Go,Go, everyone out there, part of the WMB movement!! It has been an awesome year. WMB has grown in so many ways and the evolution has been stupendous! I am so happy to be part of WMB. I am sooo excited about our upcoming Skype call, Purnima! You are a champion! Thank you for throwing a GAVI Global Tea Party in India this year, and thank you for building our photo database with Mom Photographer. I love your ideas, and I’m excited about what you have planned for ’13! Thanks for being a great friend! What a blessing to be part of this amazing group of women. Jennifer, thanks for giving moms around the world the opportunity to learn and enrich their lives by sharing experiences. WMB rocks and I know 2013 will be even better! Ana, I’m so excited that you have joined us, and I soooo wish I could have been there when you and Maureen met in Jakarta! How awesome that you guys have met offline! Thank you for being a part of us, and yes, onwards and upwards for 2013! I think back to Jen’s first email that she was starting this little blog and her vision of the worldwide issues that moms could discuss. I am in awe of how incredible this has become in such a short time and what a difference you all make. Keep it coming! You were there when the first part of this all started. When I first became a mom. You were one of the first mom friends I met as a new mother, and thank YOU for supporting me all along the way on World Moms Blog. You are a true gem!! Nicole, to think one day I just found your blog post and years later we were roommates at BlogHer! We’ve come a long way together in the blogging world, and it’s a fun ride. 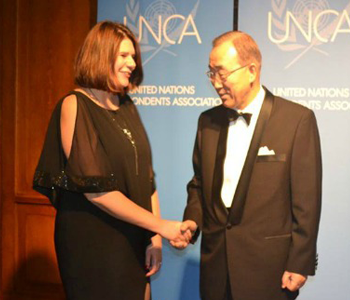 Your advocacy for social good and human rights issues inspires me to heart. I have awesome friends!!! 2013, here we come!! What an amazing year! World Moms Blog is an amazing site and you guys are making a difference in the world. I love it. I just love it. You had me at “I’m going to throw a Shot@Life “Shot” Party!” when I first met you at the Volunteer Summit! It has been a pleasure knowing you this year, and I love what you do!! Here’s to hopefully getting the chance to catch up again in person in 2013!! Thanks for your support! I’m so glad you found us, too! A big thanks to Alison Lee! I’m looking forward to catching up with you soon in the new year, Jennifer! Man, what a year. Can’t wait to see what you do in 2013! LOL, Cindy!! Thanks for always caring!! You rock, my friend!! Here’s great wishes for your 2013 ventures with DragonFly Designs!! What a great year for WMB! Congratulation Jennifer for all what you’ve achieved so far! You have been a great help this year! Thank you for sharing your photo expertise with World Moms Blog, and I’m so glad that you have joined the editing team, too!!! I love the friendships I have made here!! Your personal journey since you joined World Moms Blog has been amazing to watch unfold. I am so proud of you over there in South Africa, and so proud of you starting your own blog this year, Blog by the Phoenix. I’ve learned a lot from you about parenting, and I am grateful for our friendship!! WOW How proud to call you my daughter. Keep up the good work. Thank you, Mom!!! And thank you for helping with the babysitting when I’ve been out of town. It is greatly appreciated along with your love and support! What a year! Way to go, Jen, and everyone else! Thank you for being a part of World Moms Blog from France, Jennie! I’m so glad that I got to meet you this year. It was a pleasure!! So glad to have you here! It has been one heck of a fantastic year here at WMB. So so glad and proud to be a part of great ladies. Here’s to a wonderful 2013 for WMB 🙂 Much love to you all. You are awesome!! Thank you for spearheading the fairy moms with Ruth. I appreciate your friendship and all the work you do for World Moms Blog! This is simply amazing to see all the work you’ve done in the last year in one place. Jen, you’re an impressive woman, who I know would say this is all the result of a work by MANY people. All true. But you are our leader and inspiration. Thank you for all the hard work you do and passion you bring to WMB. Happy holidays and enjoy the blogcation!!! I’m happy to lead such a great group of women!! You guys are the force behind World Moms Blog!! We were so close to meeting this year when I was in Africa. Here’s to making that happen in the future!! I’m looking forward to the new initiatives that you and Erin are planning for WMB!! Wow! What a year of truly amazing accomplishments! I am so honored to be part of this group of global moms, and look forward to what is to come for world moms Blog in 2013! Congratulations! Thank you, Elizabeth! We are so thrilled to have you on board with us! And thank you for making those trips into NYC to meet up! WOW!!! An amazing year indeed, and I am so honored to be a part of the it! I’m so happy that you’re a part of it!! Thank you to all of you for being there for World Moms Blog! You rock!